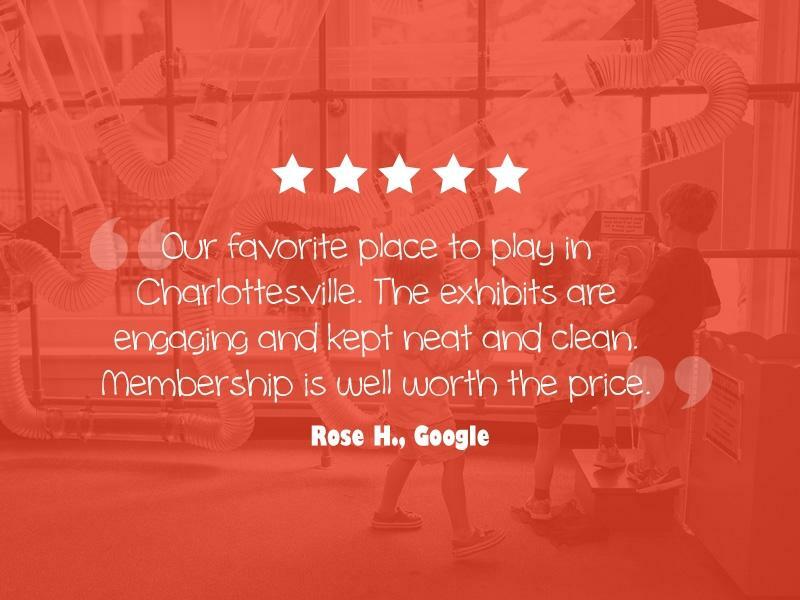 Become a Virginia Discovery Museum member and enjoy unlimited visits to the best discovery spot in Charlottesville for newborns to children age 8! 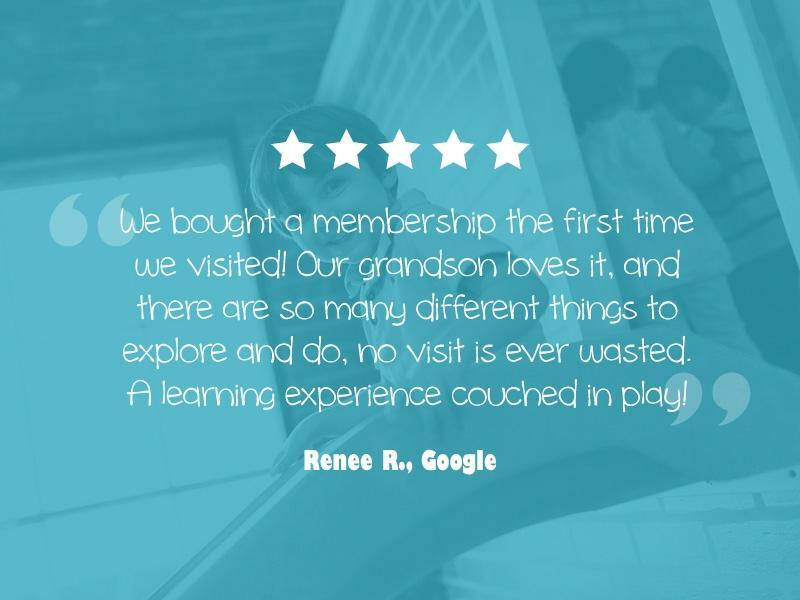 With 3-month and 12-month options available, a membership makes a great gift and offers families the flexibility to play at their own pace and on their own schedule. 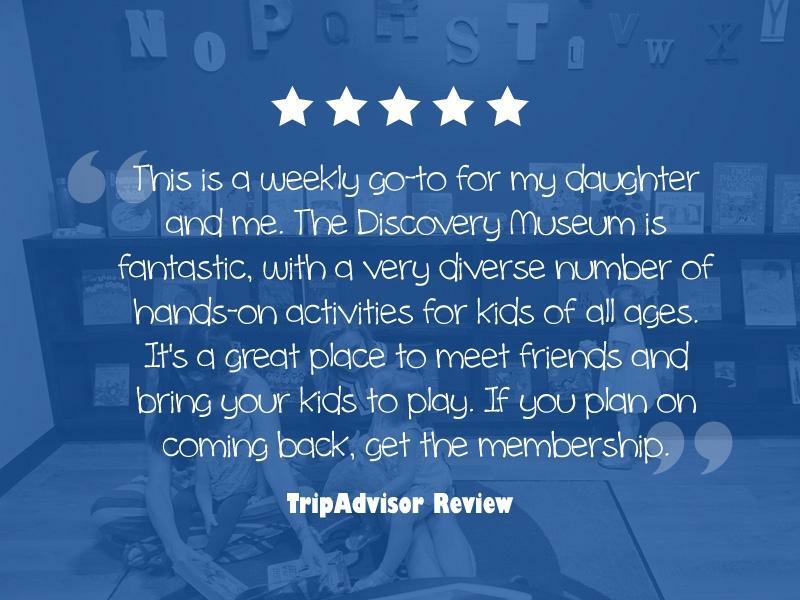 Plus, when you sign up for the annual Discovery Membership, there is literally a world of possibilities to explore through reciprocal and discounted admission to hundreds of other science and children’s museums across the U.S. and around the globe! 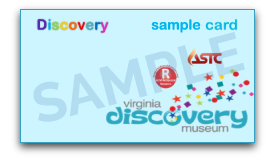 Effective Jan. 18, 2018, 3-Month Memberships no longer have membership ID cards, and Discovery Memberships include one ID card, which must be present to redeem ASTC and ACM discounts and Discovery Deals. Additional Names ($10 Each): Grow your membership! 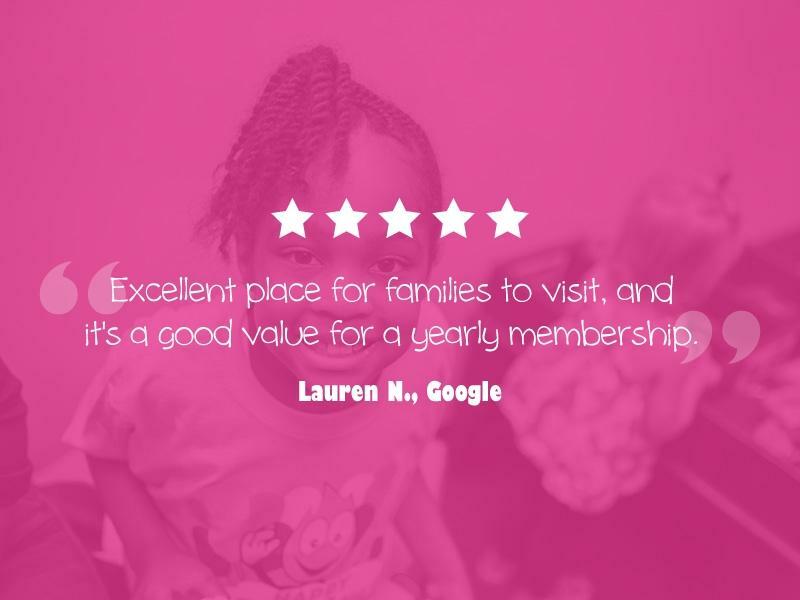 Specify up to 4 additional adults or children from the member home, caregivers, or grandparents. 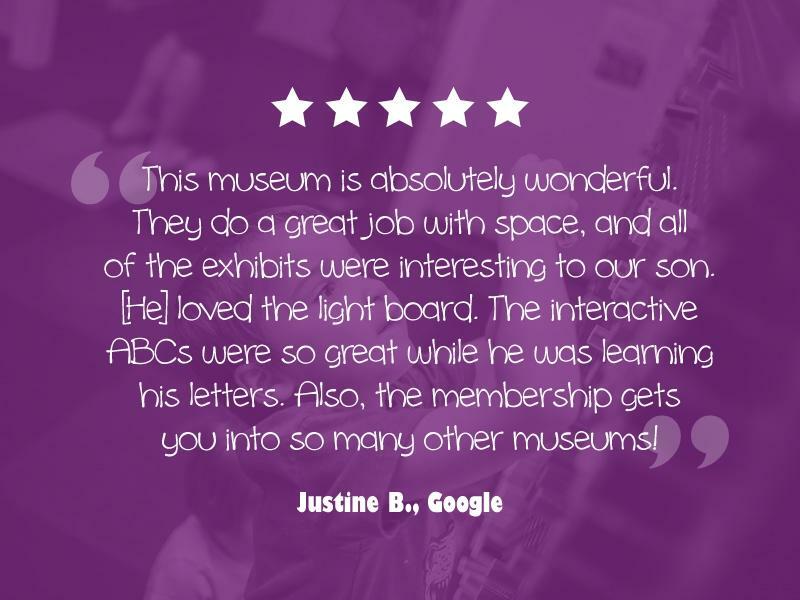 *3-Month Memberships are not upgradeable to Discovery Memberships; to become a Discovery-level member, the full annual fee is required, and the new membership will begin when the 3-Month Membership ends. VDM Discovery-level members can redeem exclusive, ongoing Discovery Deals at participating partner merchants by showing their blue Discovery-level membership ID card at the time of purchase. 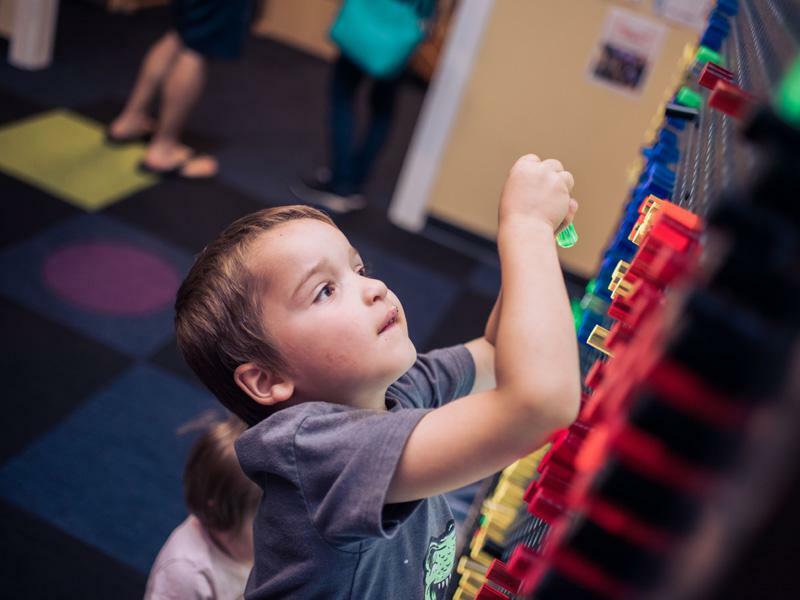 VDM will keep a regularly updated list of Discovery Deals here on our Memberships page, on the TV in our front lobby, and on our community bulletin board. 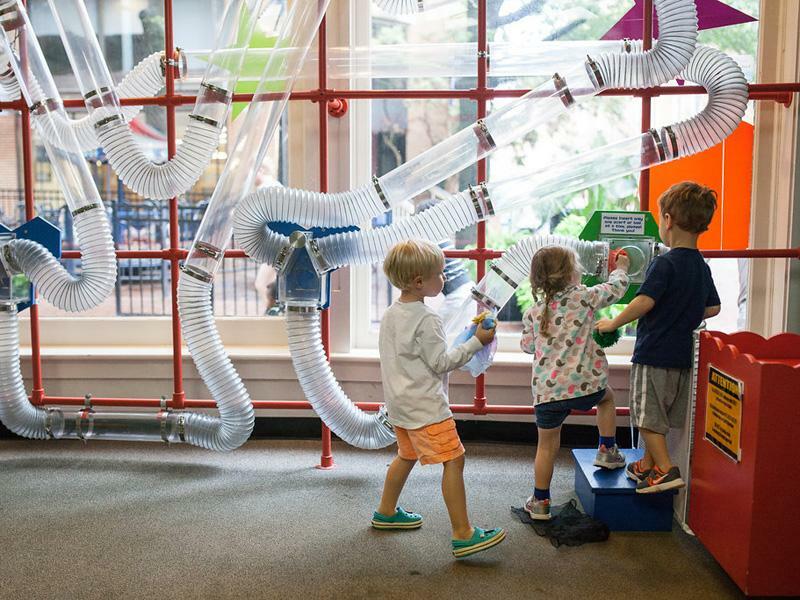 One free kid’s meal per dining adult Tuesday through Thursday from 11:30 a.m. to 4:00 p.m. 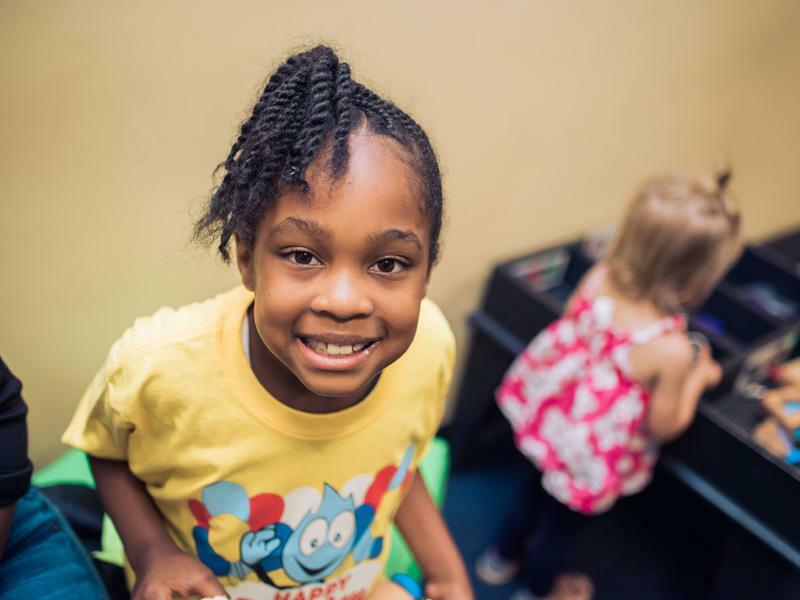 Half-price “Half Pints” kids meals on Saturdays. One child eats free per one paying adult. Offer includes single chicken paffles and up to two toppings; drinks not included. 10% discount on in-store purchases. Offer does not include catering, wholesale, or special orders like wedding cakes. 15% discount on ice cream purchases. 20% discount on all purchases. 10% discount on any store purchase. Free bambino gelato with any purchase. 10% discount on books from the “All Ages” section. 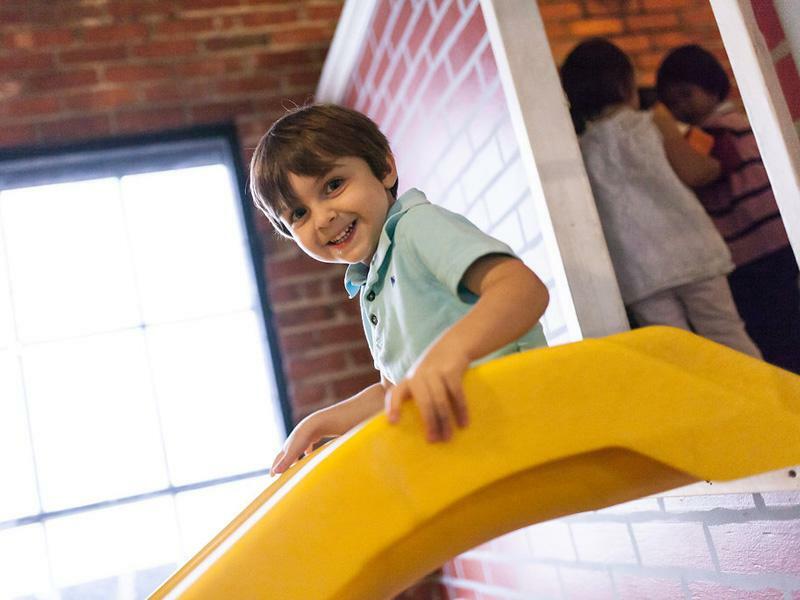 $1 off kids meals, and Mom (or Dad) can have Happy Hour anytime.